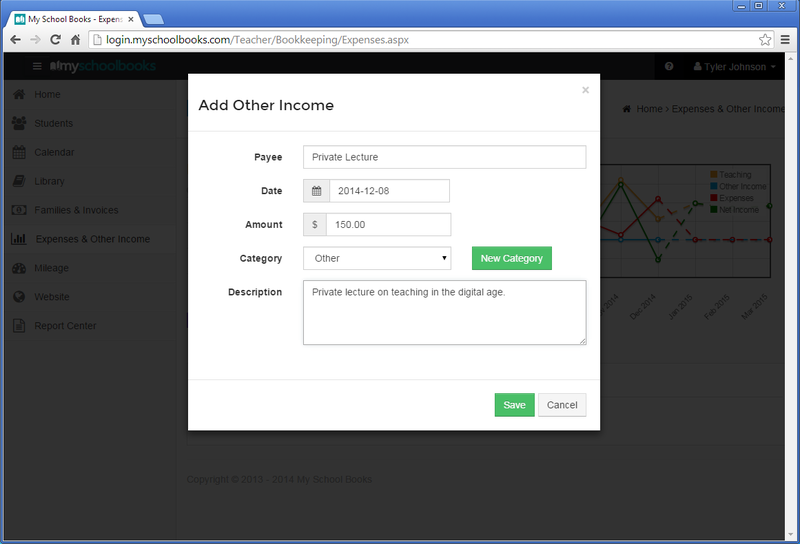 In addition to helping you create invoices and student schedules, My School Books allows you to track your tutoring business expenses and non-tutoring related income. It’s easy! 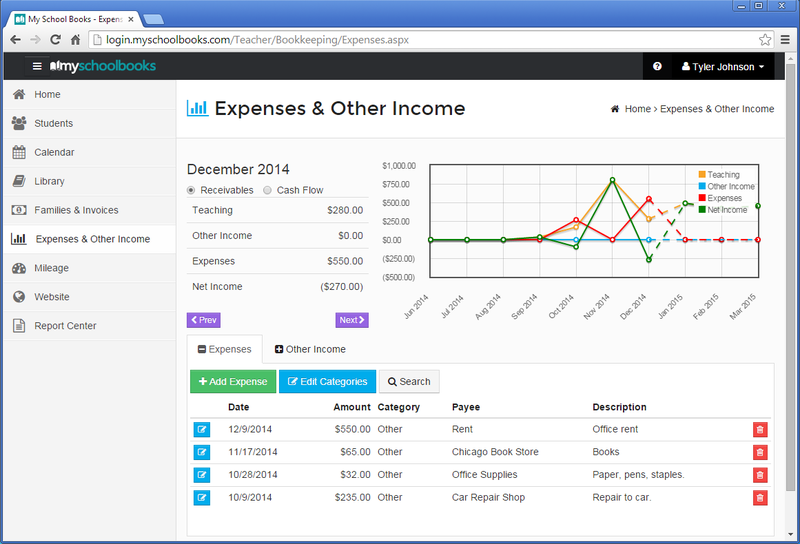 With My School Books you can create customized categories for all types of income and expenses for your business. Then, when it’s tax time, you’ll be ready to print off your yearly report that shows every transaction by category. In an instant you’ll be able to tell just how profitable your tutoring business is. If you use My School Books to track payments from families, then you’re already keeping track of tutoring related income. But if you’re an active tutor you may have income from other sources too, such as a part-time or contract tutoring roles. My School Books makes it easy to track all this and more in one location. That way, when tax time comes around all your information is in one place, and you’ll be ready.